Taking the broad view, Nvidia (NASDAQ:NVDA) stock looks like it’s still in excellent shape. Yes, NVDA stock plunged last year and still trades 49% off its early October highs. Even with that fall, however, Nvidia stock still has risen 358% over the past three years and 712% over the last five. From a similar perspective, the underlying business looks strong. It does appear that management underestimated the impact of cryptocurrency mining on demand, and the “crypto hangover” will pressure results in the first half of fiscal 2020 (ending January), at least. But revenue still rose 20% in fiscal 2019, and 40% the year before. Even expectations for a decline in adjusted earnings in fiscal 2020 suggest net profits should nearly double, at least, over three years. The argument for NVDA stock back at $150 is that everyone—management, analysts, and investors—simply overshot in terms of expectations. The seemingly stunning growth rates Nvidia was posting as recently as fiscal Q2 when revenue rose 40% and earnings jumped over 90% were not sustainable. Nvidia will pay for that growth in coming quarters, as it faces difficult year-over-year comparisons and deals with inventory buildup in key categories. That, however, does not in turn mean that Nvidia’s long-term growth has ended for good. Demand across the company’s four key categories should continue to rise. The bull case for NVDA at $250-plus still remains at least somewhat intact. It’s an intriguing bull case. But I’ve argued since the crash that Nvidia stock was likely to trade sideways for quite a while. That opinion hasn’t yet changed, for a couple of key reasons. One big issue at the moment is that NVDA stock isn’t all that cheap yet. Guidance given with Q4 earnings last month was for revenue to be flat to down slightly in fiscal 2020. Operating expenses are expected to rise “high single digits,” per the Q4 conference call. Gross margin should be pressured as well. In other words, earnings are likely to drop – and potentially precipitously so. Consensus EPS is at $5.39 – suggesting a 19% decline. Even backing out net cash of about $9 per share, NVDA still trades at about 26x this year’s earnings. To be fair, Nvidia should be able to bounce back starting in the second half and into fiscal 2021. The Street currently pegs next year’s EPS above $7, suggesting a P/E (again, excluding cash) under 20x. But even that is not as cheap as it sounds. Indeed, as I’ve written elsewhere, one of the big reasons for the decline in chip stocks across the board has been a realization that this time isn’t different. Analysts and investors had begun to believe that the industry no longer was cyclical. And so chip stocks could be priced like other growth plays – and NVDA, often trading near 40x earnings, was. Between the crypto boom and a near-term slowdown in cloud buildup, we’re again seeing that semiconductor manufacturing is a cyclical business. And cyclical stocks should, and do, receive a discount. Even assuming Nvidia bounces back starting in the second half, NVDA stock still can’t be classified as all that cheap. Given that equipment manufacturers like Applied Materials (NASDAQ:AMAT) and Lam Research (NASDAQ:LRCX) are trading at 10-11x earnings, and memory plays like Micron (NASDAQ:MU) and Western Digital (NASDAQ:WDC) are even cheaper, 20x doesn’t make NVDA a value play. The other issue is that it may be too early to assume that Nvidia’s growth will return in just a few quarters. Nvidia isn’t alone in seeing a quick rebound in demand from cloud providers: Western Digital has made a similar prediction and Intel (NASDAQ:INTC) has called out weakness in its datacenter business. 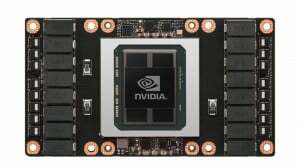 But after the last two quarters, and after Nvidia management badly misread crypto demand, some caution – or skepticism – is required. Indeed, analysts already have shown some skepticism toward fiscal 2020 guidance. Consensus estimates suggest a nearly 5% drop in sales this year, worse than Nvidia itself projects. And Nvidia’s projections require the company to exit the year at basically the same growth rates it was showing a year ago. That seems far too optimistic. That seems to set up some risk to Nvidia stock as the year rolls on. Earnings reports in the first half are going to show year-over-year declines in revenue and sharp drops in profit even if Nvidia management is right. Any potential miss only adds to the pressure. Even if the long-term case here is somewhat intact, near-term trading looks likely to be bumpy and mostly sideways. In even a bullish scenario, it’s going to take Nvidia some time to return to growth. Meanwhile, at 20x earnings, any stumbles don’t look priced in. It’s not a great combination and it suggests that Nvidia stock likely will take at least a few quarters to get moving again. Article printed from InvestorPlace Media, https://investorplace.com/2019/03/why-2019-probably-will-be-a-really-tough-year-for-nvidia-stock/.